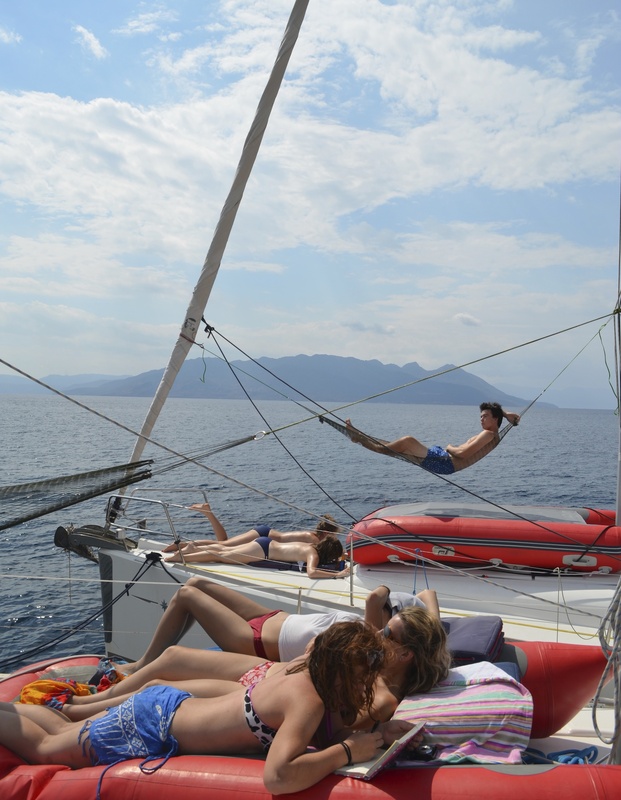 For our last day we anchored at Perdika to make the most of our final opportunity to lounge in the Greek sunshine. 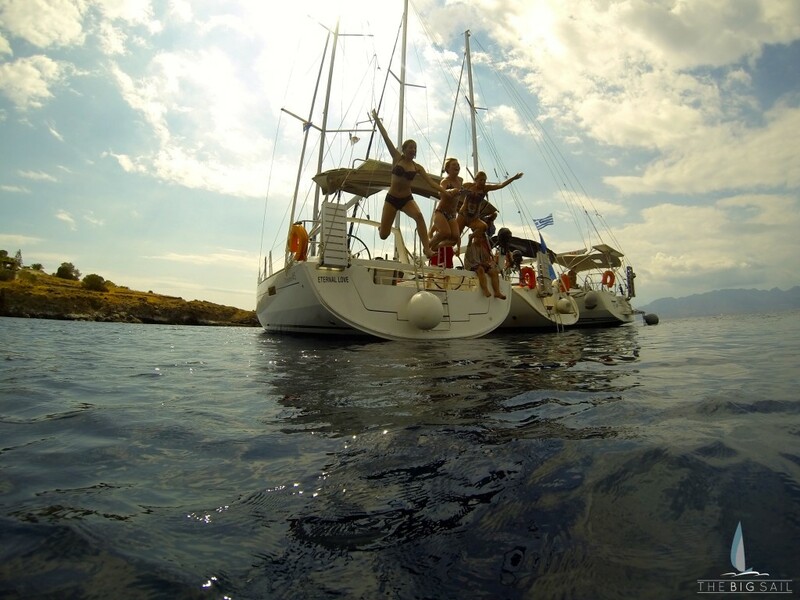 Of course most of the morning was spent swimming, jumping off boats and generally frolicking, with the GroPro on hand to capture some amazing moments (and some not so amazing underwater leg action). After lunch, the group headed to the front of the yachts, which, as they were joined together, meant that even the people on the other boats were close enough for conversations. The boys hung hammocks between the sails and the masts, which looked very impressive! It was great to have the opportunity to just chill together! Later, the whole group gathered on one yacht for Halyard swinging. This involves jumping off the side of a yacht holding onto a rope attached to the mast (called a halyard!). As the skipper turns the boat, you swing out over the water: simple! Everyone that wanted to had the opportunity to jump from the yacht. It was incredible to watch people soar through the air (some, surprisingly gracefully) and everyone was completely exhilarated when they climbed back onto the yacht. As I waited to jump with the rope in my hands I was nervous, convinced that I wouldn’t have the upper-body strength to hold my own weight. Then the yacht turned and before I knew it I was flying! My few seconds on the rope were unbelievable. Hitting the water was less so; I opened my eyes completely disorientated and then had to swim back to the boat. But it didn’t matter, I had done something unforgettable and completely incredible. The photos and videos of the jumps are brilliant, although thank goodness some people were better at it than me! We set off for Athens as the sun disappeared behind the clouds and motored through some less than perfect weather into the marina. 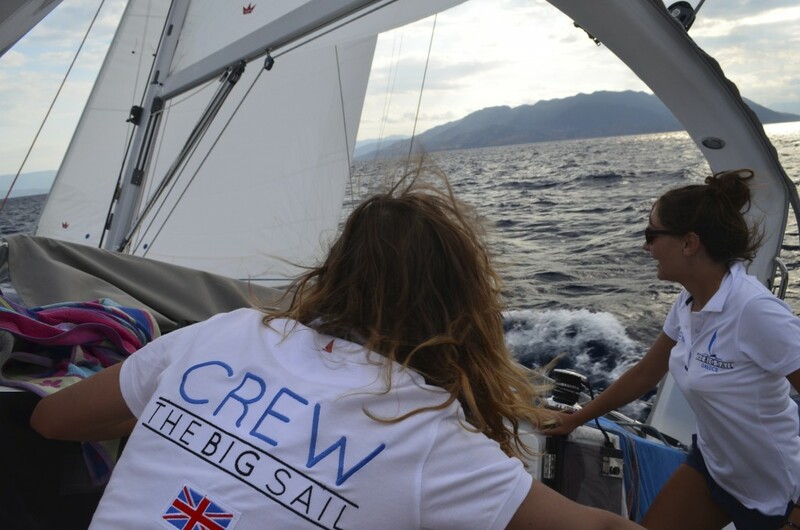 But even the rain couldn’t dampen our spirits; the crisps and biscuits flowed as one crew member demonstrated his impressive capacity for storytelling and managed to amuse our crew all the way back to Athens. For our final meal, we went to another wonderful restaurant in the Athens port and later stopped at a bar overlooking the marina to celebrate another skipper’s birthday. It was a great to end such an amazing holiday with another night of celebration! All hands on deck for the final sail back to Athens! All too soon, morning dawned and it was time to make our way home. 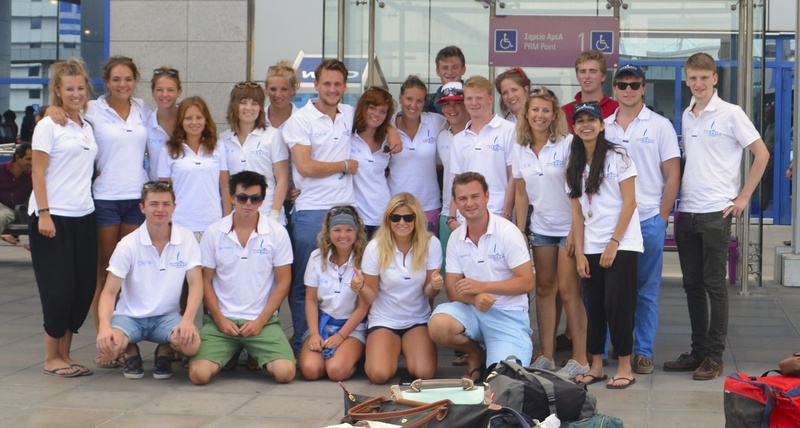 Packing the yachts was straightforward and we all arrived at the airport tired but happy. 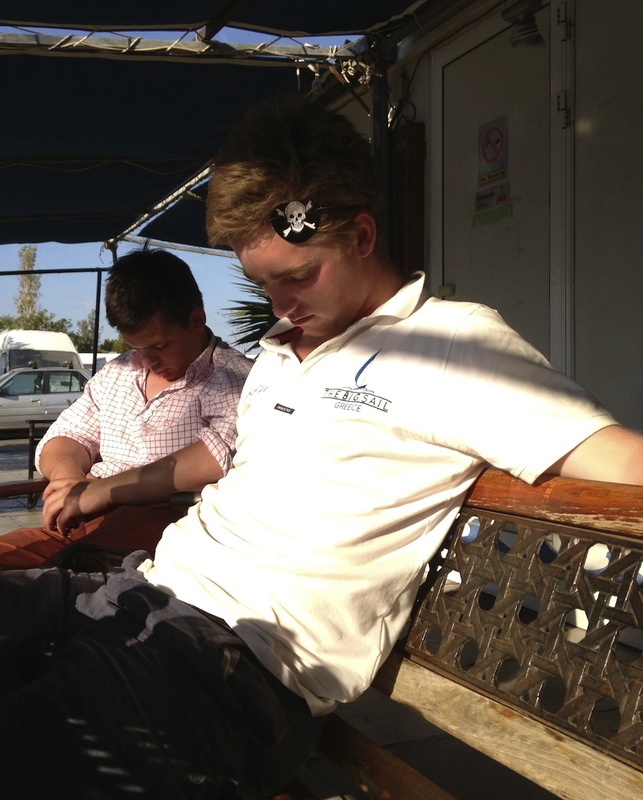 A week of sailing really had taken it out of us and the plane had barely left the ground before nearly everyone was asleep. The incredible week finally caught up with some people by the final morning…! To see an overview and interactive map of the whole route see this page: WHERE DOES IT ALL HAPPEN?